Bodhi Surf is a surf camp that specializes in both surfing and yoga, two activities that are complementary to one another as well as congruent with the mind-body connection. Participating in yoga and surfing together will bring you benefits that go beyond physical activity. Bodhi Surf School offers a variety of classes and packages for those who want to incorporate yoga into their Costa Rica surf vacation. You can participate in a single class, a Sunrise Yoga and Surfing Session, or a 6-Night Holistic Yoga and Surf Package. Our Yoga & Surf Package offers guests a well-balanced week of yoga and surfing in the pleasingly natural surroundings of Bahia Ballena, Costa Rica. Spend part of your day learning to surf in the one of a kind Ballena Marine National Park, a superb place for beginners to catch their first wave or improve their wave catching ability and continue with their progression. In the afternoon, rejuvenate your body and take-in the natural beauty of your surroundings with a Vinyasa Flow yoga class. During your free time enjoy the untouched beaches in the Costa Ballena region, take a walk to the famous Whale’s Tail, hike to a refreshing waterfall, or just relax and enjoy the fact that you are in Costa Rica. 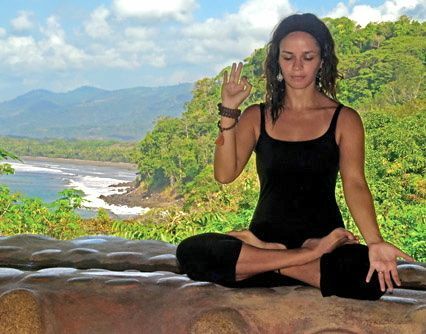 Taking place in the lush tropical community of Bahia Ballena, Costa Rica, Bodhi Surf & Yoga retreats will give you a chance to do it all, relax and unwind as well as exercise and learn. Each Bodhi Surf Retreat features yoga and surfing; with specific retreats offering additional activities that promote personal growth and development. These holistic yoga and surf retreats are designed for those who not only need a vacation but more importantly, would like to have a unique experience. Dates 2012 dates coming soon! 2013 dates coming soon! 2013 dates coming soon! They can be reached in Costa Rica at (506) 8540-3129.